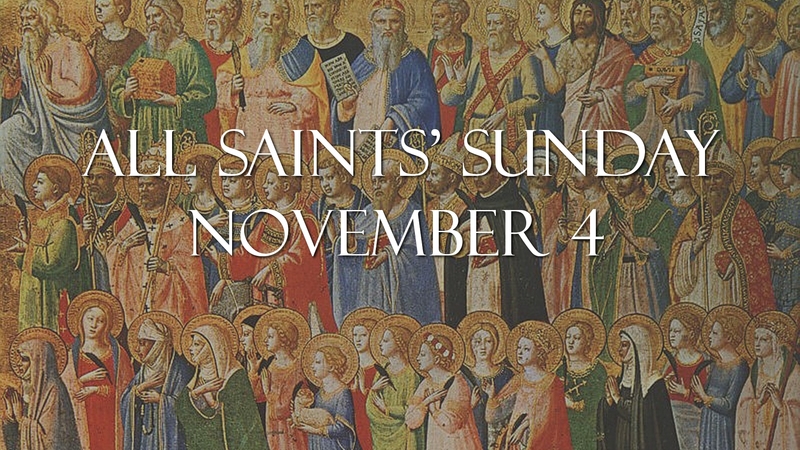 On November 4, we will celebrate the Feast of All Saints’ with special services and a visitation by Bishop Rob Wright, our diocesan bishop. We will share in the Celebration of Holy Baptism as well as Confirmation for both adults and youth at the later service. During the services we will also offer prayers for all those in our lives who have died. Please note that incense will be used at the 10:45 AM service. Bishop Wright will also lead a special Sunday forum at 9:30 AM in the Parish Hall, so we invite you to come and share in that conversation! Daylight Saving Time ends at 2:00 AM on Sunday, November 4. Don’t forget to set your clocks back one hour before you go to bed Saturday evening! 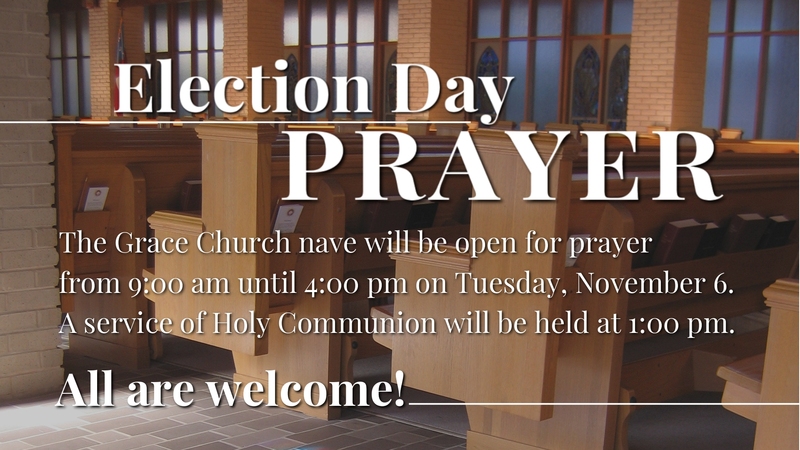 The Grace Church nave will be open for prayer from 9:00 AM until 4:00 PM on Tuesday, November 6. A service of Holy Communion will be offered at 1:00 PM. All are welcome. Following our Wednesday night meal (6:30 – 7:30 PM) on November 7, 14, and 28, Rev. Michael McCann will facilitate an introduction to American poetry’s attempts to make sense of our common experience by drawing language into the depths and hopes of our modern American experience. We will also explore how many American poets, while abandoning Christian or any religious affiliation, continue to be full of the ecstasy and the communion of flesh and sounds in poetry. Also, how do Christian poets find ways to make poetry in the midst of a radically secular America? Our third meeting will be an offering to the parish. Those who are willing will bring their own poems or poems they choose to share at the beginning of Advent. Dinner on November 7 is baked ham, sweet potato casserole, vegetable medley, rolls, salad, and pecan pie. The vegetarian entree option is spinach & artichoke stuffed mushrooms and children are offered a 1/2 portion of the regular entree or PB&J, cookies. The program on November 7 is part one of a three week study entitled Poetry of Recollection and Communion facilitated by Rev. Michael McCann. See details in article above. Grace adults gather each month in the Youth Room to watch and discuss movies old and new addressing a wide variety of subjects. A very casual occasion, participants often bring a little food and drink to share. We always have a good time and lively discussion-join us at 7:00 PM on Friday, November 9. Please note there will be no movie night in December. The visual arts committee is asking for your creative participation in Advent Images: The Gift of Reflection. Send in your photos and words no later than November 17. Read the latest issue of Connecting, the newsletter for the Episcopal Diocese of Atlanta, at this link.